More quotes in a fraction of the time. We connect your entire OEM inventory with PartsTrader allowing a one-click option for quoting. OnPart will allow you to quote as an alternative parts provider so you can receive all part requests in your market automatically. OnPart PTI integrates your entire OEM catalog, not just the parts you have on hand. Take on more business today. With less time creating quotes you will be able to respond to all available repairer requests. Simplify the PartsTrader quoting process. Less windows, less clicking, less typing and less stress. Questions or concerns, please let us know. We are here to make sure you are successful. Sign up is simple and implementation can be done within a few days. Driving more revenue has never been this easy. Getting started is easy, we will have you up and running within a few days. Sign up is simple. We just need a little info from you before you power up your account. OnPart is the fastest way to quote repairers through the PartsTrader platform. 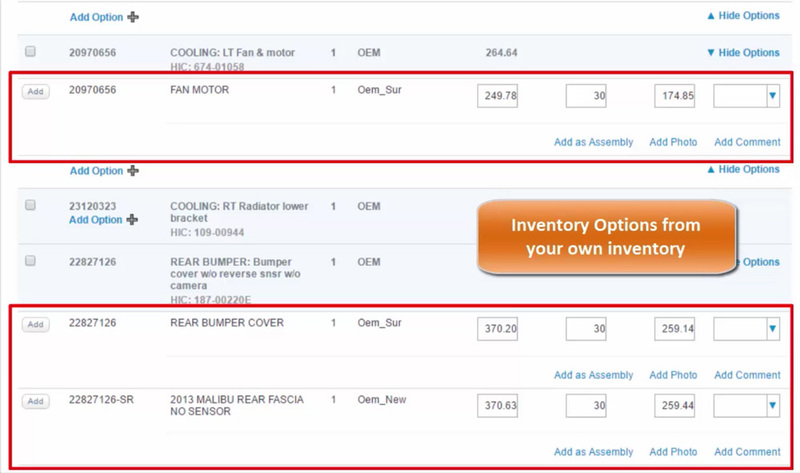 Create quotes in seconds allowing your team to drive more parts sales.